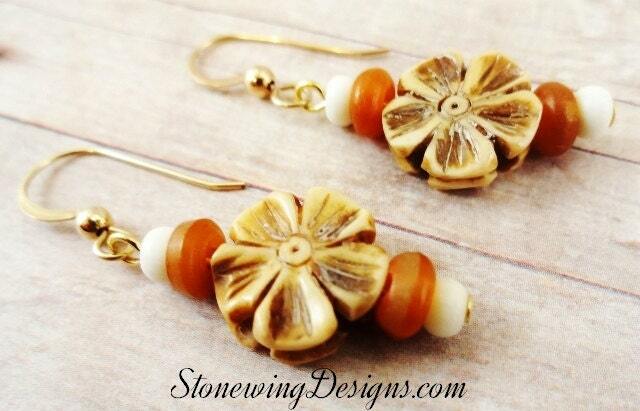 These are very fun earrings made out of bone that's been carved into a flower. 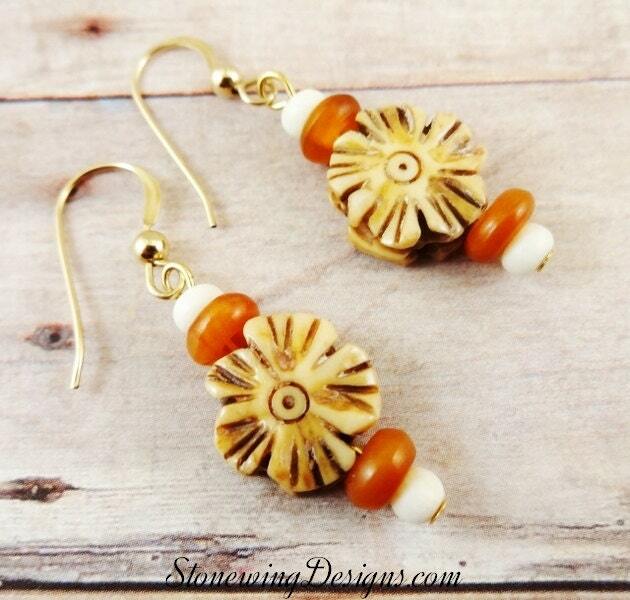 Rustic, cowgirl charm with just a hint of sweetness. 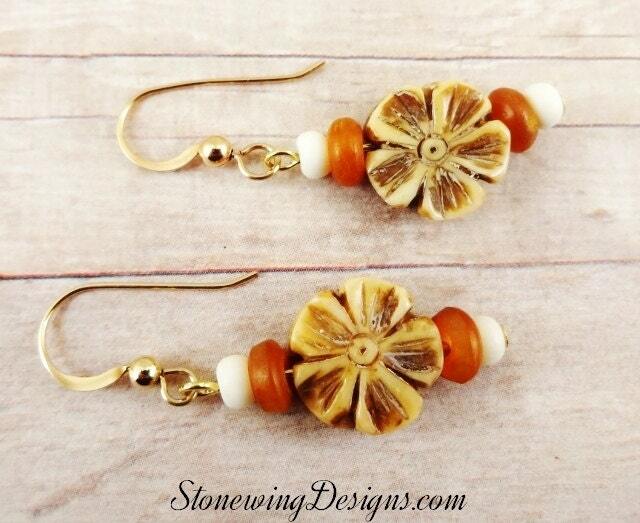 A simple carved bone flower is flanked by two rondelles of horn and two small bone rondelles. 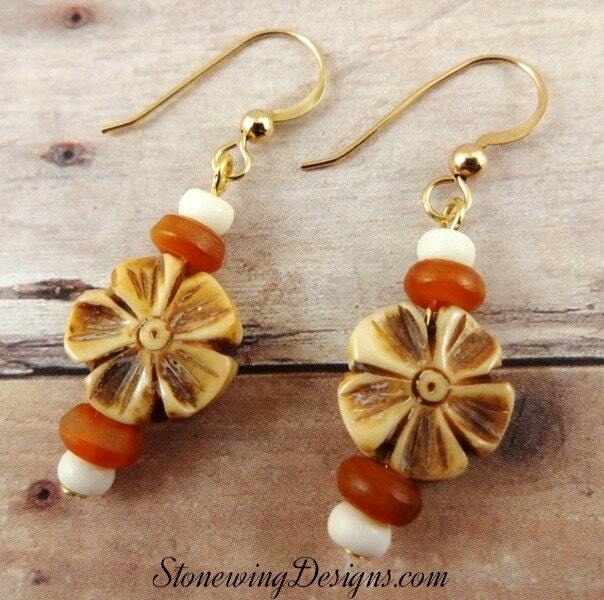 Shown with 14k gold fill French hook ear wires. Message me if you'd rather have antique brass or surgical steel. I also have post earwires with 4mm balls or leverbacks.